Bonjour! 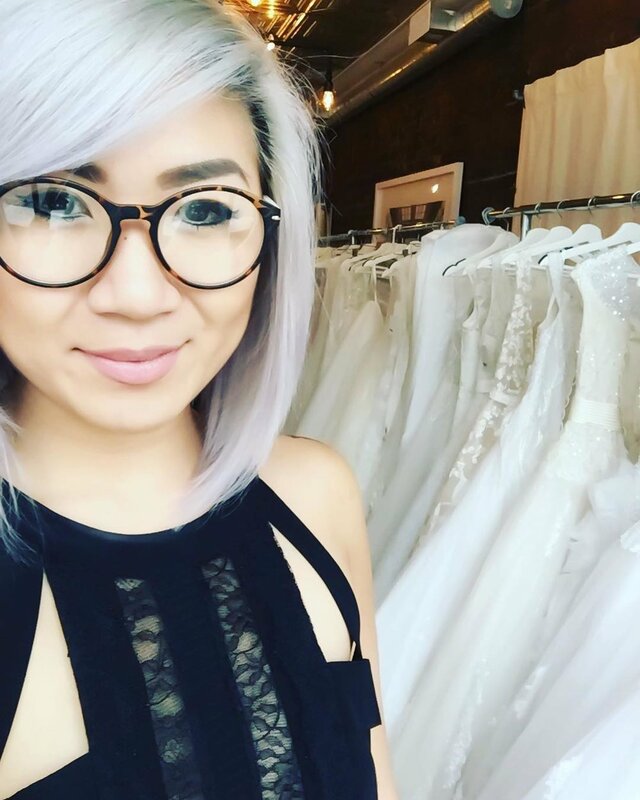 I am Bonnie, owner and designer of Je Vis Bridal, and here is my story and how I started Je Vis Bridal. I was born and raised in Vancouver, BC, one of the most beautiful cities in Canada. At an early age, I learned about my love for fashion, in particular, my love for dresses. Being a dancer for over 25 years, I was constantly surrounded by amazing textiles! In 2004, I graduated from John Casablanca Institute in Vancouver with a Diploma in Fashion Design and Business. By 2010, I launched my first 2 collections of evening and cocktail dresses for my first label, Je Vis Couture. As time went on, I felt like I wanted to do more, I wanted to help them find their once in a lifetime dress, their wedding dress! In 2014, I decided to take a leap in my career and launched Je Vis Bridal, and this was my best decision ever. I smile, laugh and cry with my brides-to-be. When I see that smile on a bride when she has found the dress, I just know, and it warms my heart. It is the best feeling and experience. In 2016, Je Vis Bridal opened its first storefront in Toronto, ON, and shortly after I decided to offer bridesmaid dresses, mother of bride dresses, bride evening dresses, and flower girl dresses to facilitate the entire dress shopping process. “Live like heaven is on earth” – Souza. Well, that’s my story! Hope we can meet in person so I can learn more about your love story!